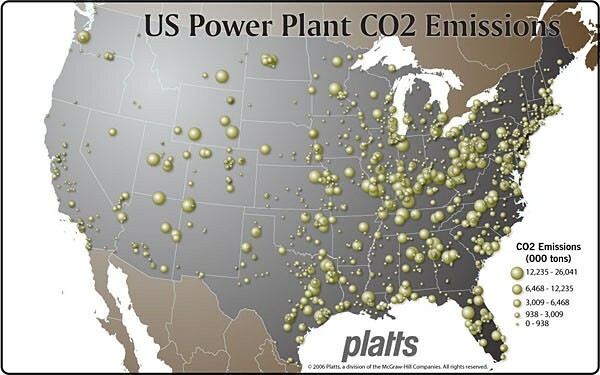 Here are a couple of maps showing the location of power plants in the United States, the amount of carbon dioxide they emit and details of a network of pipelines that is currently used to transport carbon dioxide (in a liquefied state) to oil fields to enhance the recovery of crude. 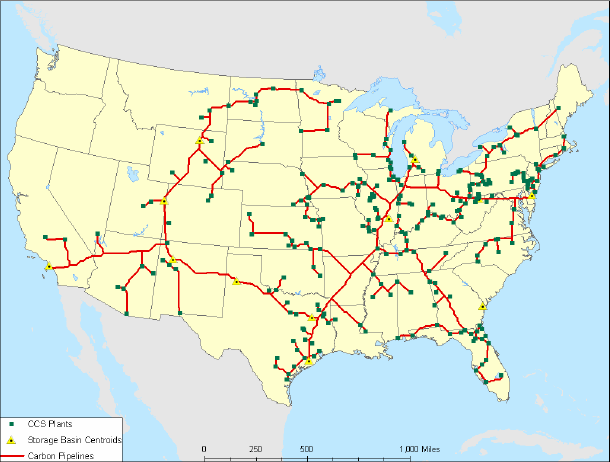 This network is reported (see correspondence in the Greengrok link below) to be nearly 3,600 miles in length and handles carbon dioxide recovered naturally from underground reservoirs, as well as that produced by natural gas processing plants, ammonia manufacturing sites and a large coal gasification project located in North Dakota (the Great Plains Synfuels Plant). Reproduced from Platts website without permission of McGraw-Hill. For a more recent version of this map consult the following web page. Source: The Greengrok, Building an 'Underground Highway' for Carbon Dioxide. Duke's School of the Environment, Oct 2008. 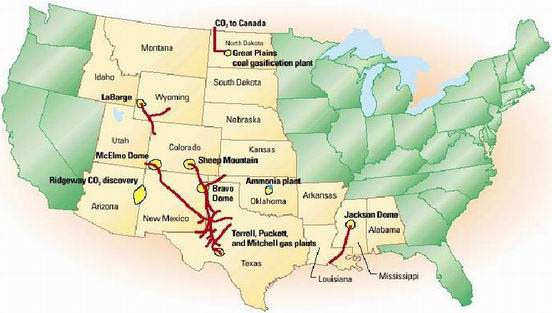 The third map shows how a future interstate trunkline system capable of transporting carbon dioxide recovered from coal fired power plants to storage sites might be developed. A number of these sites are currently used to store natural gas, but the most promising locations (still to be developed) may include the Frio and Mt Simons deep saline formations along the Gulf coast of Texas and around the Great Lakes. 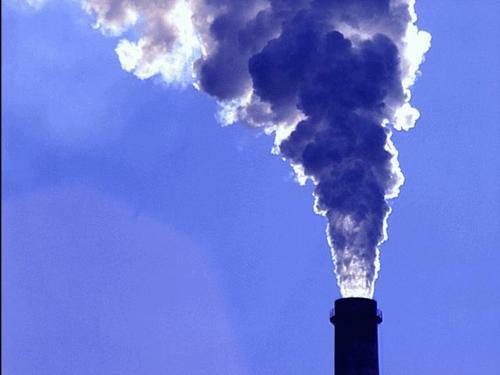 NB: It may be noted that emissions of carbon dioxide from power plants represents some 40% of the total generated within the boundaries of the United States. Additional sources include the consumption of petroleum, natural gas and coal by the transport (34% !!) commercial and industrial (20%) and residential (6%) sectors.